Probably one of the best scenes of Sunday's season five premiere took place when the new Mrs. Don Draper (Jessica Pare as Megan) sang an awkward-turned-sultry version of the French '60s pop song "Zou Bisou Bisou" at Don's [Jon Hamm] surprise 40th birthday party. It resulted in a few humorous scenes when Roger Sterling [John Slattery] and others from the cast imitated the serenade throughout the rest of the episode. Read more: "Mad Men" Season 5 debuts with "A Little Kiss"
Read more: Original "Mad Man" George Lois: "I'm not Don Draper"
Soon after, viewers were humming the song, recreating their own versions and sending around a YouTube video of the track, recorded by Gillian Hills in 1961. By Monday morning, "Zou Bisou Bisou" was trending on Twitter. And "Mad Men" producers didn't waste any time seizing the opportunity to get Pare's version out to fans of AMC's hit series. Now, you, too, can own a version of the track. Pare's slinky cover version became available on iTunes at midnight. There's also a vinyl single of the song for sale on AMC's website. It will eventually be released in Amazon and in stores. 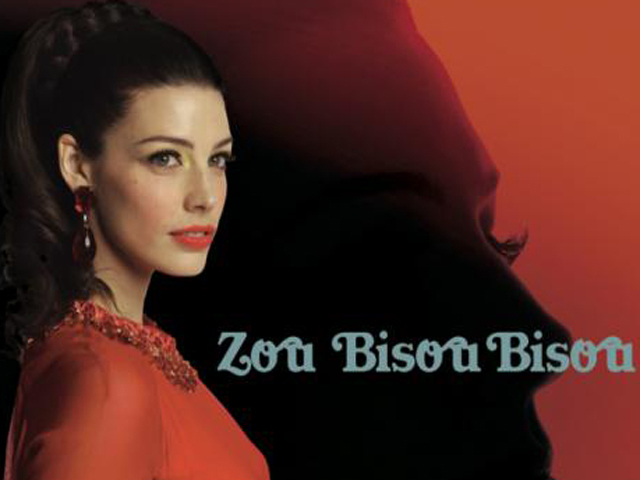 "Zou Bisou Bisou" roughly translates to "Oh, you, Kiss Kiss." Sophia Loren performed a slightly different version of the song in the 1960 film "The Millionairess." Carlos Ghosn faces more charges, and Stop and Shop workers reach an agreement to end an 11-day strike. Those headlines and more from CBS MoneyWatch. Massachusetts Rep. Seth Moulton is the 20th candidate joining the Democratic race for president in 2020. CBSN political reporter Caitlin Huey-Burns joined CBSN to discuss the 40-year-old Marine Corps veteran's bid for the presidency.